96 young people have acquired the knowledge and skills needed in digital manufacturing | Rittal - The System. 2016-09-02. Today’s young professionals are fascinated by electronic media and software, while manufacturers are increasingly digitizing their processes. For the Friedhelm Loh Group, the one phenomenon dove-tails perfectly with the other, and its training programs addresses both. In all, 96 apprentices and students have just completed their programs at the Group. Their final presentations highlighted the convergence of IT and manufacturing, a trend which they have clearly embraced. When Kevin Grahn talks of gap control in manufacturing, wiring solutions and terminal blocks, his enthusiasm is palpable. 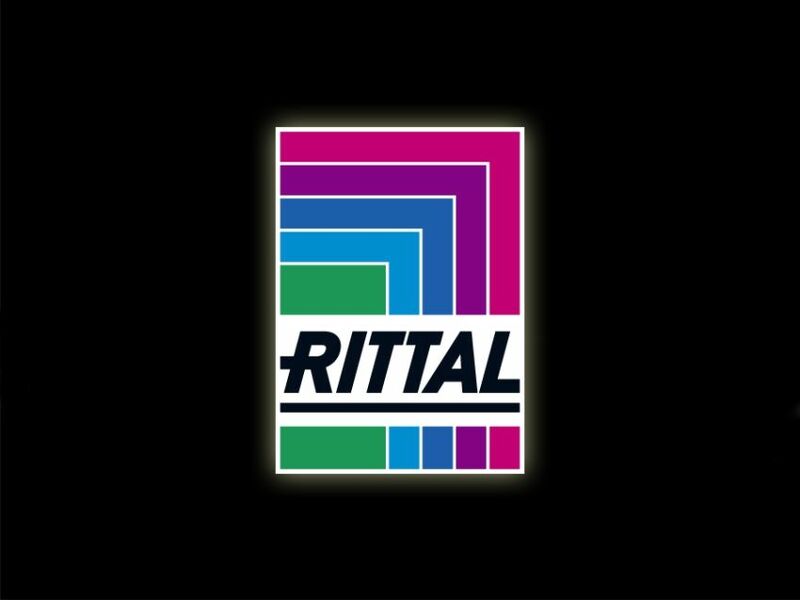 Kevin recently completed his training in industrial electronics with Rittal, a leading manufacturer of modular enclosure systems. He has now presented his final project to his instructors and colleagues, with understandable pride. “After modification work, one of the production systems at the Wissenbach plant developed a fault. As a result, enclosures were repeatedly being damaged beyond repair,” he explained. The goal of his final project was to resolve this problem. By means of a software-controlled light barrier, he managed to completely eliminate the risk of damage to enclosures passing through the system. “The intriguing aspect was that this assignment required both sophisticated hardware and software,” reported Kevin. He learned a programming language especially for the task, and mainly worked on the machine during breaks. “It’s vital to avoid disrupting operations,” he explained. Seventy-three apprentices completed their training with the Friedhelm Loh Group this year. In addition, 23 young people completed the co-operative education program offered by the Group in conjunction with the Central Hesse University of Applied Sciences (THM). The apprenticeship programs include warehouse logistics, plant and machine operation, and mechatronics for cooling systems. Industrial placements are provided for engineering and business administration students. “Germany provides the very best in vocational education,” emphasised Michael Weiher, Managing Director Production at Rittal. The company, a global market leader, has offered vocational training for 46 years. “Throughout that time we have continuously developed and refined our programs. Mechatronics and IT professions are the future of manufacturing. That is why we need skilled specialists like you,” he said. Since its foundation, the Friedhelm Loh Group has trained 1,500 apprentices. Furthermore, in 2013 Rittal launched a special program designed to nurture high-potentials. And two years ago, it introduced a training program for unskilled workers. This enables them to become plant and machine operators, with a qualification recognised by the German Chamber of Industry and Commerce (IHK). As Weiher stressed, the digitization of manufacturing will also impact co-operative education. “The integration of all processes – engineering, manufacturing, logistics and business administration – will prompt an overhaul of university curricula. Tomorrow’s engineers and managers need the skills to develop intelligent solutions that seamlessly link processes, making them better and faster”. As he explained, the 23 graduates have gained a wealth of practical experience at the Friedhelm Loh Group, working with various departments on real-world assignments. This has given them the skills they will require in their fields. The Friedhelm Loh Group has offered industrial placements to students at THM since 2001. The key benefit of co-operative education is that it blends theory with practice – periods of study at the university alternate with hands-on work experience. The graduates’ enthusiasm for their study programs is reflected in the grades they achieved. Weiher paid tribute to the four top-placed individuals: business engineers Jaquelin Hansel and Max Schüssler who gained the highest possible grades (1.0), engineer Jan Hartmann and business administration graduate Niclas Thielmann, both of whom achieved the outstanding grade of 1.2. “These are impressive results,” said Weiher. “You have acquired a fund of knowledge and corresponding skills. It’s now up to you to apply and develop them further. You have everything you need to build successful careers,” he added.